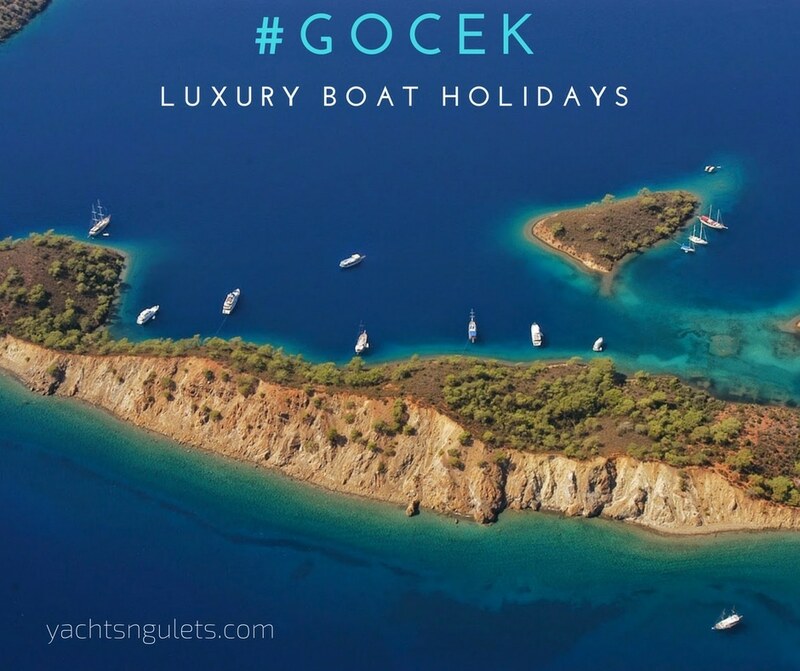 Among the 4 main harbors for embarking in Southern Turkey, the port of Gocek is one of the top choices for travelers booked for luxury boat holidays on the turquoise coast. While the other harbors; namely Bodrum, Marmaris, and Fethiye too, are preferred, the port of Gocek has one main advantage over the other harbors. 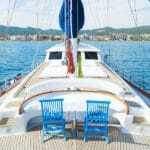 This is particularly of great importance for large groups and families booked on luxury boat holidays. Airport transfer time is 20 minutes from the Dalaman airport to Gocek town. It’s always a perk after having traveled for hours, even a full day, to get to your boat charter sooner than later. However, of course, the boarding times generally range between 15:00 to 15:30 hours. 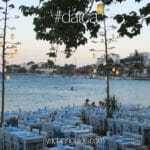 Even so, there are places to sit and relax at, by the charming waterfront Gocek offers. Also, luggage can be stored until the time of boarding. Gocek is a small town with 4 main marinas; hence a very high boat traffic port. The town itself is delightfully filled with local shops merely a few minutes from the waterfront. There is a nice selection of restaurants and bars to enjoy a few drinks or snacks, while you wait and watch the people and boats at the harbor. The beautiful natural setting also adds to the pleasant atmosphere – with the backdrop of the lush green hills. Itinerary choices to the east and west. When you begin from Gocek your Turkish boat holiday route can either take you to the eastern part of the Turkish Mediterranean where you can sail as far as Antalya province and see a wide assortment of historical sites, archaeological ruins, pristine bays and quiet beaches. Your route could also lead you to the port of Fethiye for some local shopping at the marketplace, local Mediterranean dining, and very lively nightlife. You don’t have to go far to enjoy a one week trip to the islands that are close by offering plenty of private mooring spots – more private during low to mid season months. To the west, your travels could take you as far as Bodrum (depending on the boat’s booking schedule). As a matter of fact, one of the most preferred routes is the Gocek to Bodrum or vice versa. 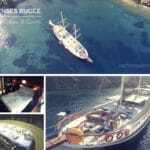 These are just a few of the many reasons why travelers on luxury boat holidays in Turkey, choose to embark from the pleasant port of Gocek. 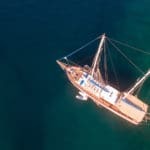 Would this fit in with your boat travel ideas?